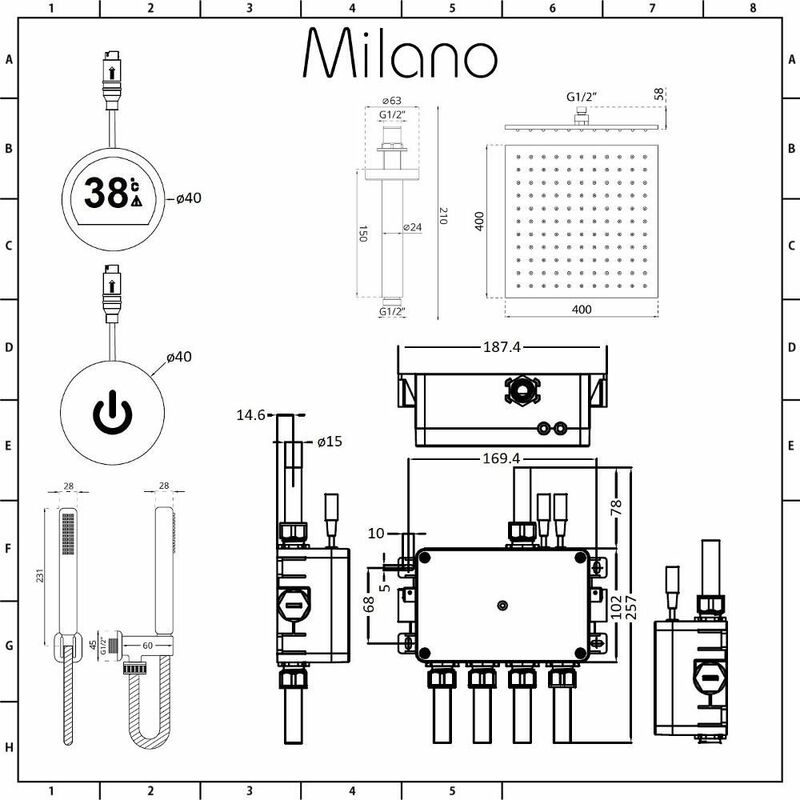 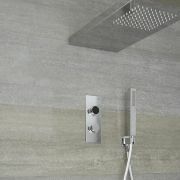 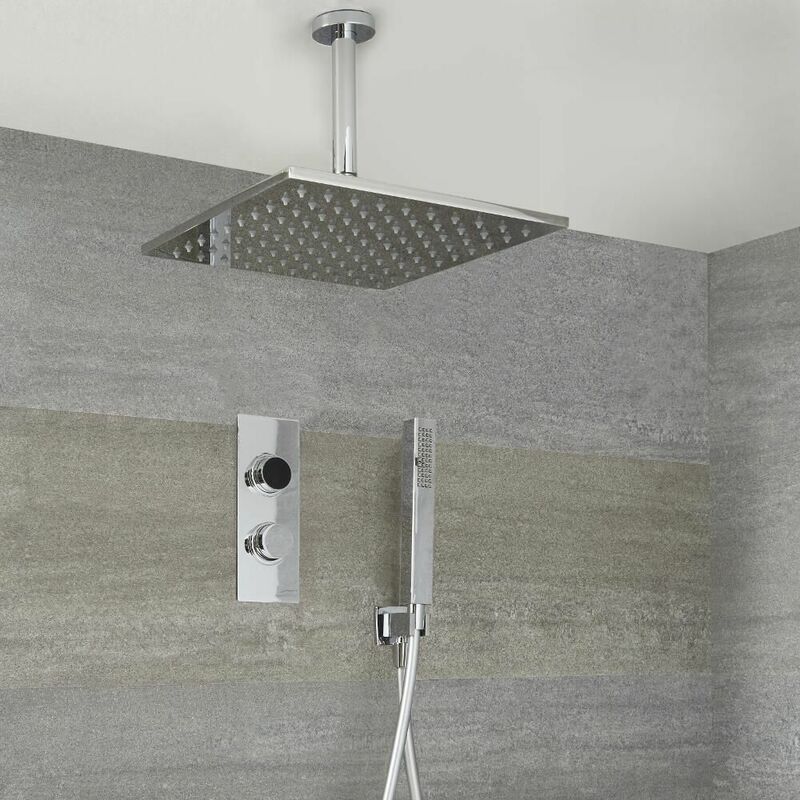 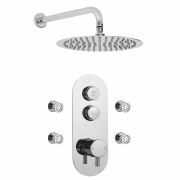 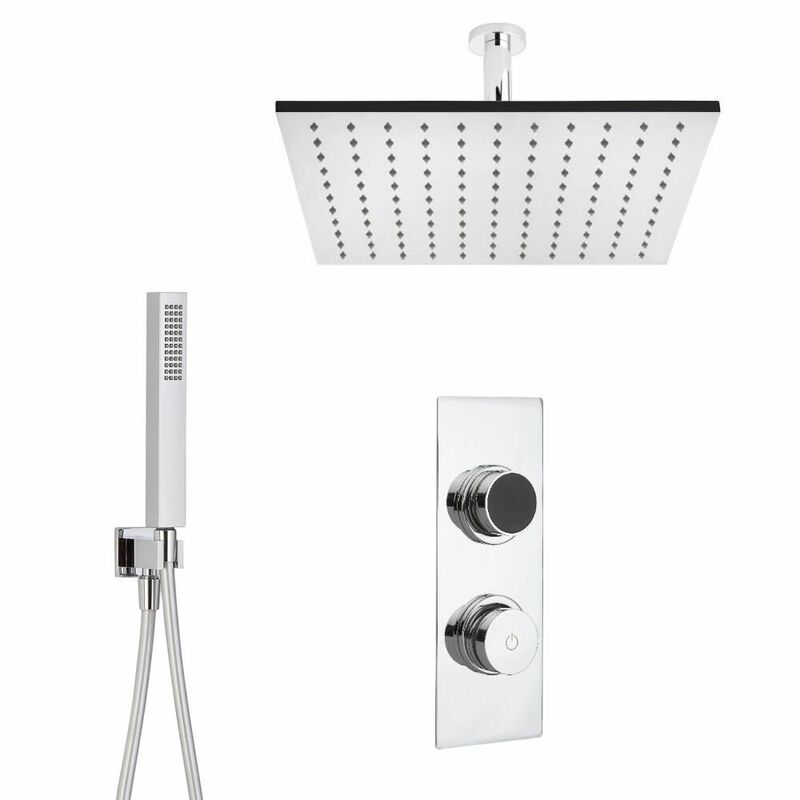 Bring designer style and the latest technology to your bathroom with the Milano Vis thermostatic digital shower control, which comes with the square 400mm ceiling mounted shower head and hand shower. 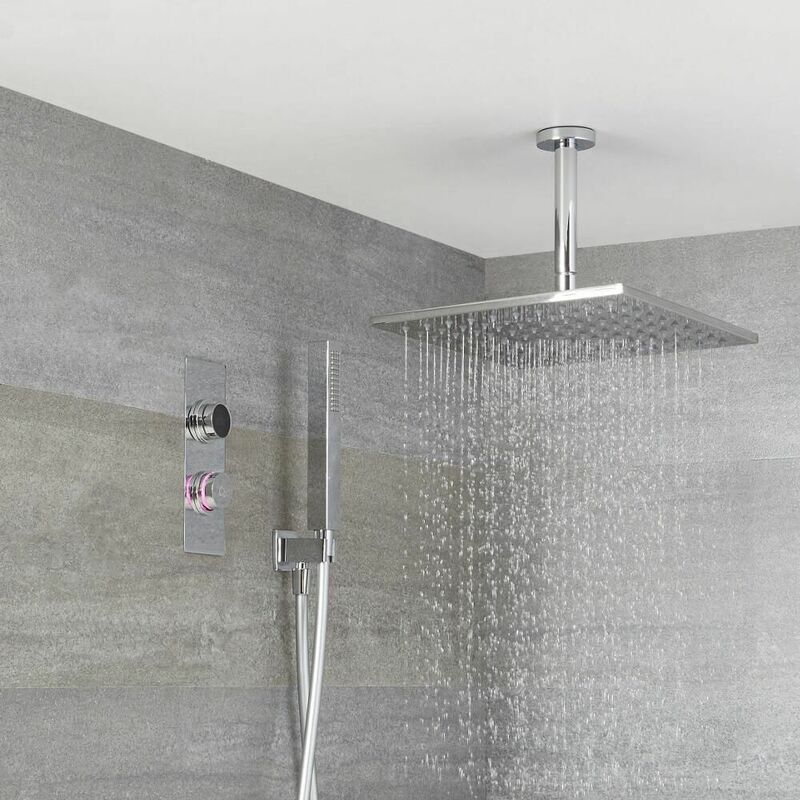 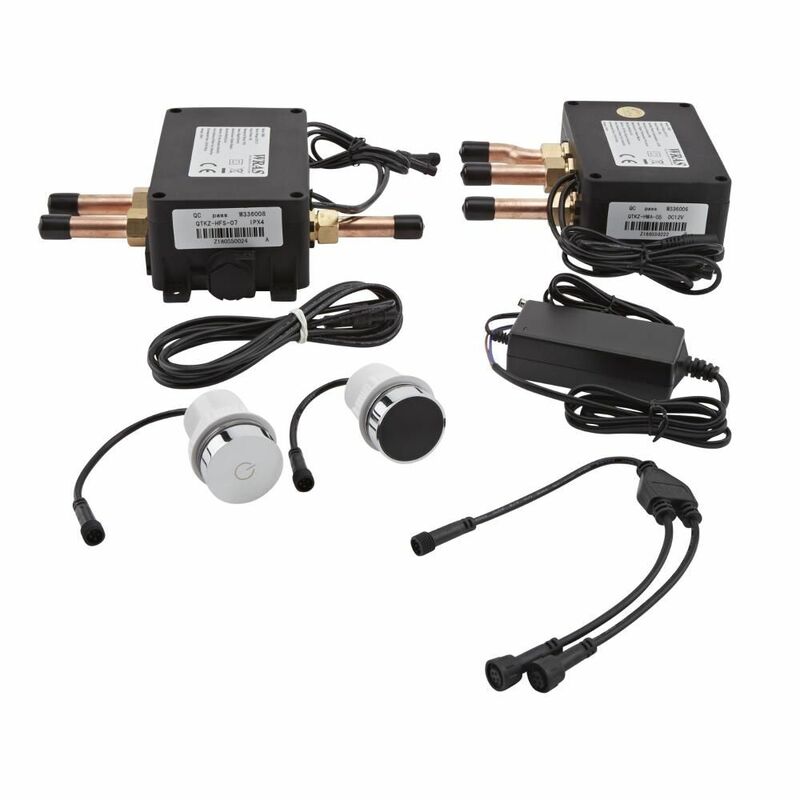 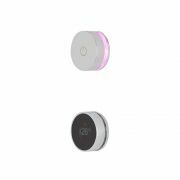 Providing a stylish and convenient way to control the flow and temperature of the water, the digital shower features a chrome finish and a neat, minimalist design. 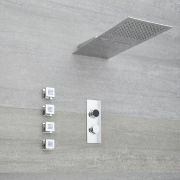 You can also switch between the different functions with ease.